In the past couple of weeks we saw a lot of new Ryobi 18V cordless tools come out and I thought that was it for a while but it turns out there’s more as more have been spotted thanks to Chris Plank and Cody Robertson! With their collective efforts we now learn that Ryobi has a new brushless drywall screw gun P225, 4 gallon backpack chemical sprayer P2840, hybrid color range LED light P795, and a new lightweight 90 MPH 200 CFM leaf blower P2190. 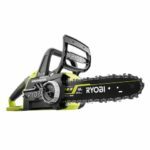 All 4 new Ryobi tools mentioned are cordless and 18V battery powered tools. Over the past few years cordless drywall screwguns have gained popularity from other brands and now it’s Ryobi’s turn to add one to their system. 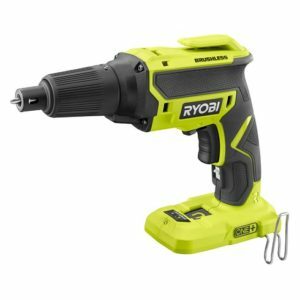 This isn’t Ryobi’s first drywall screw gun and neither is it their first cordless one but is a new model for modern times. 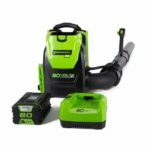 It has some pretty good features that you’d find on more expensive pro brands such as a brushless motor for more screws driven per charge and the ability to conserve battery power even further by only activating the motor only when the screw is being fastened. This feature lets you press and hold the trigger without any noise or unnecessary motor usage until the fastener is pressed into drywall. A simple button press at the base of the tool lets you activate and deactivate this feature. Ryobi calls it Quietdrive but is not unique to them, it’s just a marketing name which gives the impression that they are the only company with that feature, but is really just another name for a feature found on some other brands. 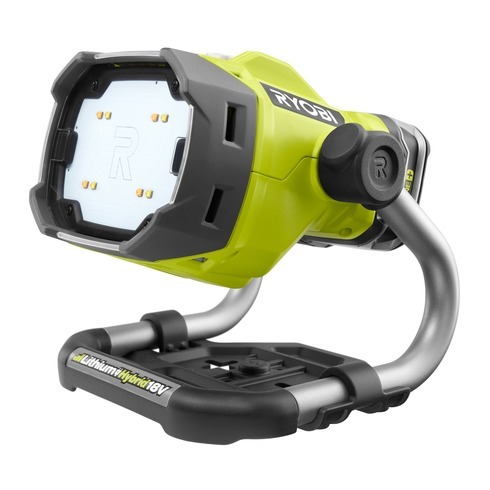 Ryobi claims you can drive up to 3,000 screws per charge using the 4.0 ah battery. Other features include an adjustable and removable nose cone, LED light with afterglow, improved magnetic tray and an improved belt clip. The belt clip has a new beefed up wire frame design and instead of being screwed in, clips into place for easy changing between left and right handed positions without the use of any tools. At the time of writing this model was not listed on the Home Depot website which means I don’t know how much it will retail for and don’t know when it will come out but it should be soon. 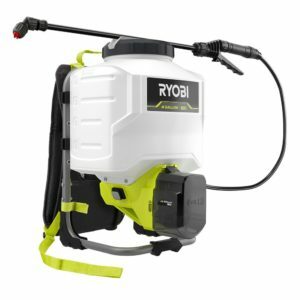 It wasn’t that long ago that Ryobi came out with a cordless 18V chemical sprayer and now they have a new model on their hands which a couple of upgrades over the first model. First of all it gets a larger 4 gallon tank for longer spraying sessions and less refilling for extended use. Filling up a 4 gallon tank with liquid will surely get heavy quickly and to reduce fatigue they made it a backpack model for easier carrying. With no pumping required and a translucent 4 Gal. tank, monitoring fluid levels is simple. This Chemical Sprayer has a durable brass nozzle that adjusts for multiple spray patterns and the chemical tank cap doubles as a measuring cup. 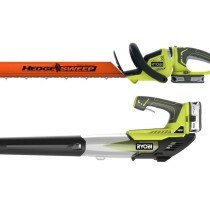 For additional convenience and the tool comes with a 2.0 Ah Lithium-Ion Battery and is backed by a 3-year warranty. It will be out soon, no word on when exactly and it will retail for $149 and includes a 2.0 ah battery and charger. This light reminds me of the Ryobi hybrid 20 watt LED work light that I have and offers some similarities like the hybrid nature of the tool which can be cordless using 18v batteries or corded with the use of an extension cord. It has a bright output although slightly less lumens at 1200 which is still very bright and a tilting light head for different viewing angles. The biggest difference is that the color range P795 model can adjust the color temperature from 2700 to 5000 Kelvin Degrees. This isn’t to make the light output change actual room temperature but to change the white balance of the light output. This lets you change the LED hue to a “warmer” yellowish tone or to a “cooler” blueish tone to better suit the application at hand. By letting you change color temperatures you can adjust the white balance to give you more accurate colors in the dark. You won’t be able to mount the light to an exposed 2×4 or hang on a string but it offers the ability to mount on a tripod. This light is priced at $69.98. 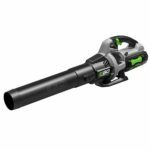 Last but not least is a new cordless 18V leaf blower model P2190 with 90 MPH and 200 CFM output. Not the most powerful leaf blower by any means but at least it’s light at only 5 lbs. 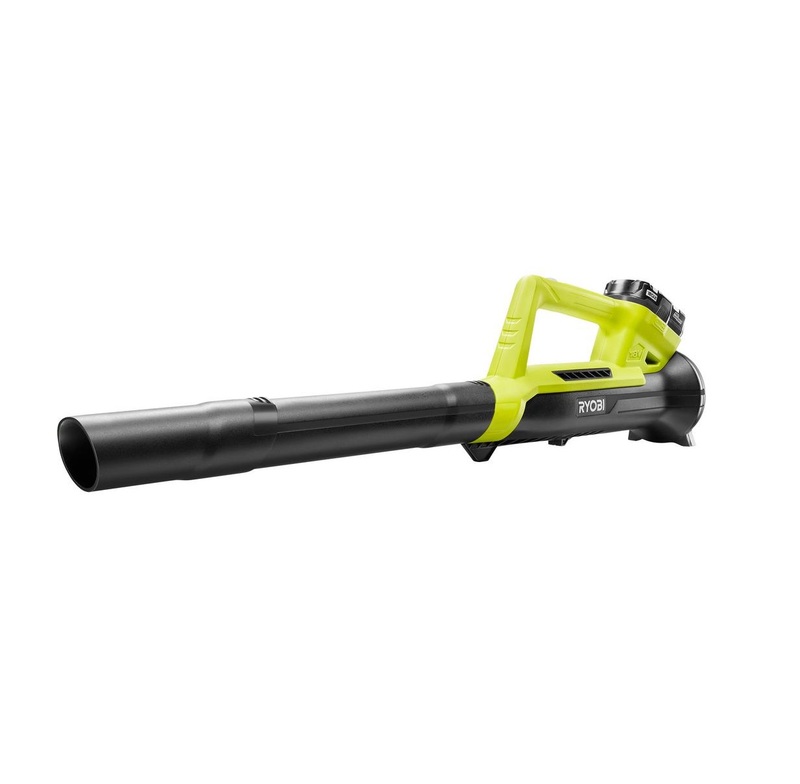 Ryobi states it is ideal for hard surfaces and that makes sense as I wouldn’t expect it to be powerful enough to be very effective at blowing leaves on grass. This light duty blower would make a good workshop blower for blowing saw dust or drywall dust. The price is also very affordable at only $79 and that’s for the complete kit with a 2.0 ah battery and charger! This blower is available now. The variable color temp light is interesting. I’m a little surprised they would offer that from a marketing standpoint. I’m more interested in the variable brightness levels. I wish the hybrid light I have had that feature!